These magnets are very cute and super simple to make! 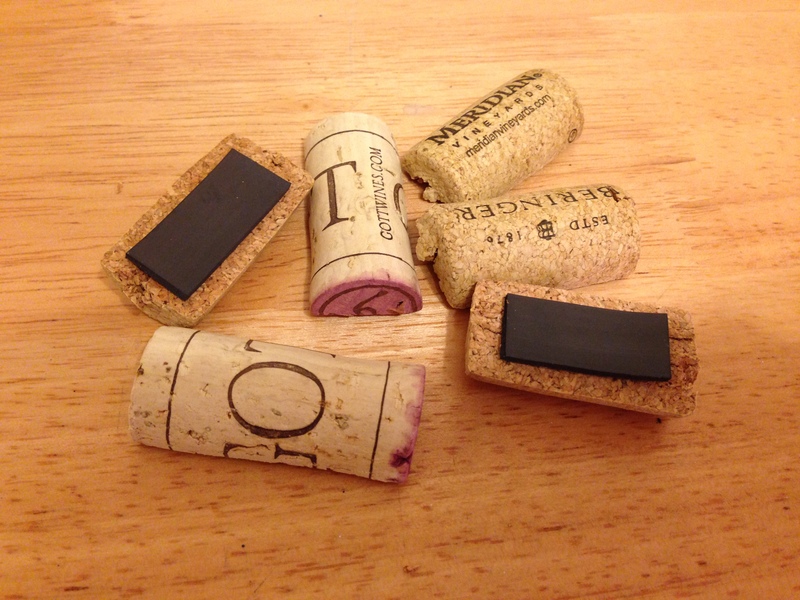 All you need are a few wine corks and a magnetic strip. I would recommend looking for more heavy duty stick on magnets because these can’t hold anything too heavy but they work on photos and smaller items. 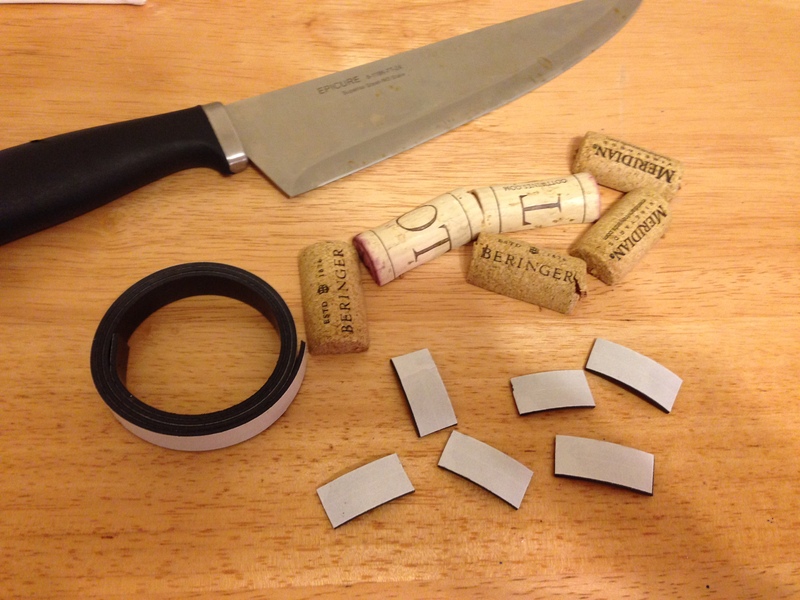 Be careful cutting the corks–I used a knife but if you have something that would work better definitely use that!